Check Out The First Teaser Trailer for Steven Spielberg's 'LINCOLN' Starring Daniel Day-Lewis! DreamWorks Pictures has revealed a 44 second teaser trailer for Steven Spielberg's Lincoln, which will debut fully during a Google+ Hangout this Thursday, September 13th at 4 p.m. PT. Lincoln starring Daniel Day-Lewis, is a revealing drama that focuses on the 16th President’s tumultuous final months in office. In a nation divided by war & the strong winds of change, Lincoln pursues a course of action designed to end the war, unite the country and abolish slavery. With the moral courage and fierce determination to succeed, his choices during this critical moment will change the fate of generations to come. The movie stars Daniel Day-Lewis, Sally Field, David Strathairn, Joseph Gordon-Levitt, James Spader, Hal Holbrook & Tommy Lee Jones. 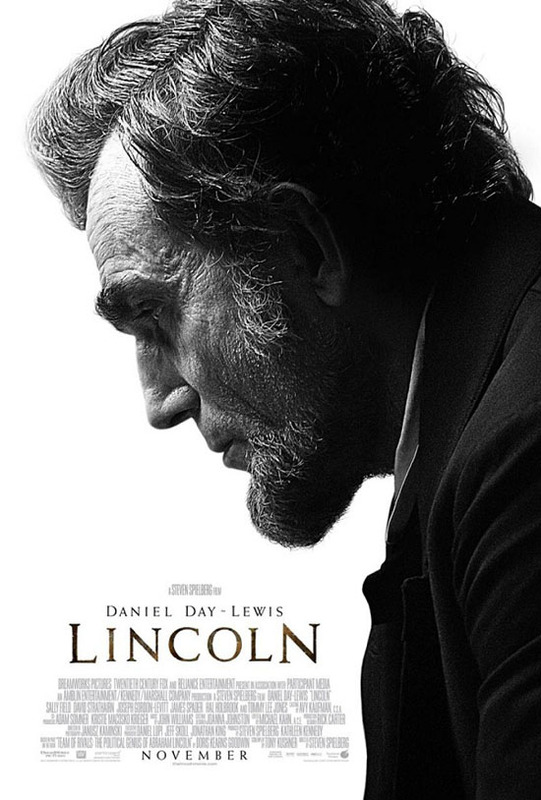 Lincoln is produced by Spielberg & Kathleen Kennedy & hits theaters this November 9th 2012, with expansion on November 16th. Hit the jump for the details. Synopsis: "Steven Spielberg directs two-time Academy Award® winner Daniel Day-Lewis in “Lincoln,” a revealing drama that focuses on the 16th President’s tumultuous final months in office. In a nation divided by war and the strong winds of change, Lincoln pursues a course of action designed to end the war, unite the country and abolish slavery. With the moral courage and fierce determination to succeed, his choices during this critical moment will change the fate of generations to come." I'm reading: Check Out The First Teaser Trailer for Steven Spielberg's 'LINCOLN' Starring Daniel Day-Lewis!Tweet this!